Over the last 10 years, MOBAs have become one of the most influential categories of games. Once just a derivative of the real-time strategy genre, MOBAs have turned into some of the most popular games around the world. But if you’re just getting into the MOBA scene, it can be a bit daunting. There are several established games that draw huge crowds. And just about the only thing that the fans of the various titles can agree on is that only their game is the best. The good thing is that each game is different enough from the rest that it will probably suit a particular type of player. 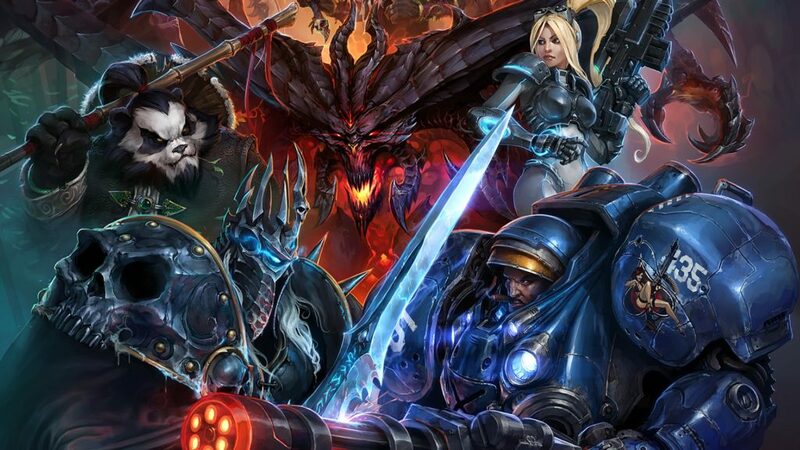 So read on to find out which MOBA will suit you the best. Dota was the original MOBA. 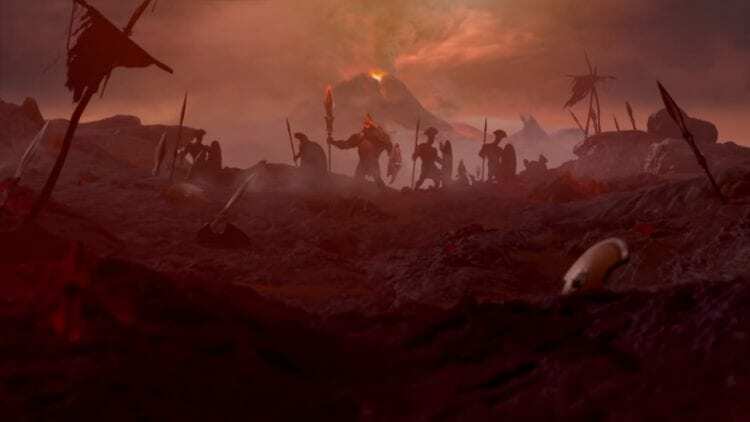 Originally a fan-produced mod on the popular Blizzard RTS game Warcraft 3, Dota has grown into a huge phenomenon and branched away from its Blizzard roots. The original game established many of the genre’s core elements, including the top-down camera view, the focus on defending and attacking bases, and the fantasy aesthetic that governs most games in the genre. Today, Dota 2 is published by Valve, and has separated completely from the Warcraft universe. Valve hired the original developers of the Warcraft mod and turned the game into a free-to-play title that relies on microtransactions to generate revenue—that’s become another MOBA standard. What sets Dota apart from the field is its devotion to its past. RTS games are known for requiring fast-twitch mechanics and immense strategic knowledge. They are some of the most difficult games to master, and that level of depth is felt in Dota today. In other games, publishers have simplified gameplay to make their titles more accessible to more casual players. But Dota remains the most mechanically and strategically intensive MOBA. Players have to calculate a lot, from when to attack their own minions to how fast their hero can turn to face an enemy before attacking. The other element of its past that Valve has preserved is the modable nature of the game. One of the hottest new games, Auto Chess, is a user mod on Dota 2, just like Dota was a Warcraft mod. If you’re nostalgic for the look and feel of the first MOBAs, or love more custom game styles in a MOBA setting, Dota 2 might be your jam. It’s ironic that, for years, Blizzard missed the boat on MOBAs even though the first MOBA was built off a Blizzard title. When the company finally entered the genre with 2015’s Heroes of the Storm, it felt like too little, too late. Established games like Dota 2 and League of Legends had taken over the scene, and it didn’t feel like HOTS offered anything unique enough outside of characters form Blizzard’s various universes. Even the pro scene suffered before Blizzard put it out of its misery at the end of 2018. All that is a shame because HOTS is actually a really good game. While Dota 2 stays closest to its roots as a Warcraft 3 mod, Blizzard went in a totally different direction with HOTS. HOTS is, at its core, a fun game. Players don’t have to worry about farming or strategy—you just jump into the action and start fighting almost immediately. Matches are shorter and more action-packed, a huge contrast to Dota’s plodding pace and emphasis on farming. So if you’re all about action and love the idea of Blizzard characters fighting each other, jump into Heroes of the Storm. Smite is definitely another tier below HOTS on the MOBA list. Developed by Hi-Rez Studios, who started off making shooters, Smite changes the camera angle to a third-person view. It’s still considered a MOBA because not everyone is playing a marksman and it has a base-destruction focus with lanes, neutral monsters, and towers—you know, the stuff we’ve come to expect from a MOBA. Smite is actually a pretty well-reviewed game with a Metacritic score of 83. But like HOTS, it was released too late to really make a dent on Dota and League. When it became available in 2014, the other games simply had much bigger established player bases. 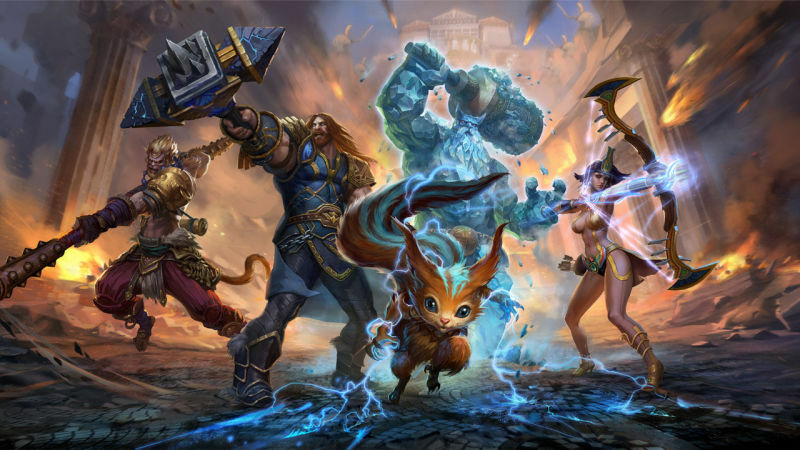 Even a deal to partner with Tencent—who owns League publisher Riot Games—wasn’t enough to send Smite’s user base much higher. But if you like the feel of being closer in the action, give Smite a try. It’s another free-to-play entry in the MOBA world, so it can’t hurt to try it out. There are a lot of mobile copies of the most popular MOBAs. Some lazier companies have even tried directly copying those titles and plastering them into a mobile format. So we have to give Super Evil Megacorp props for developing their own riff on the MOBA genre for mobile devices. When the company released Vainglory in 2014, it attracted a big following with over 1.5 million users. It even developed a fledgling esports scene with organizations like TSM getting involved. But sustaining that growth has been a challenge. As Vainglory struggled, another copycat game called Honor of Kings – Arena of Valor started rising in Asia. The difference this time was that Arena of Valor was actually owned by Tencent, avoiding any complicated legal conflicts with Riot’s League of Legends. Arena of Valor took off in Asia and has spread from there. Mobile gaming has always been stronger in the Asian regions compared to the West. It’s anyone’s guess which title—whether a MOBA or a game in another genre—finally breaks open the Western mobile gaming segment. Over 10 years since it became available, Riot Games’ singular title, League of Legends, remains the most popular MOBA in the world. It’s no longer the most popular game in the world, not with increasing competition from other genres, but it’s still an awesome game. It’s not hard to see why League has succeeded. It strikes a balance between Dota and HOTS, a game that has tremendous strategic depth and yet isn’t overly complicated for new players. Riot has also invested a lot in its IP, from new champions to different skin designs. 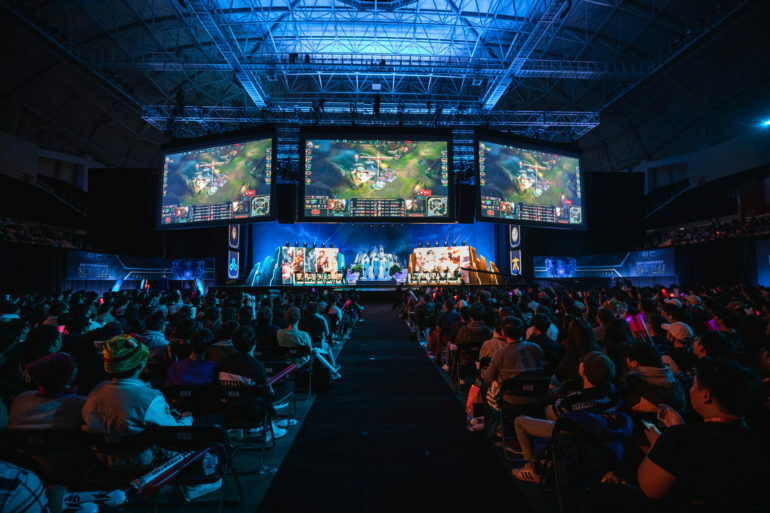 Finally, the company has put a lot of thought and effort into nurturing its esports scene—it’s by far the most active MOBA publisher in producing esports content for its game. Riot has maintained League’s spot on top by constantly updating the game. There are always players who love the nostalgia of the past. 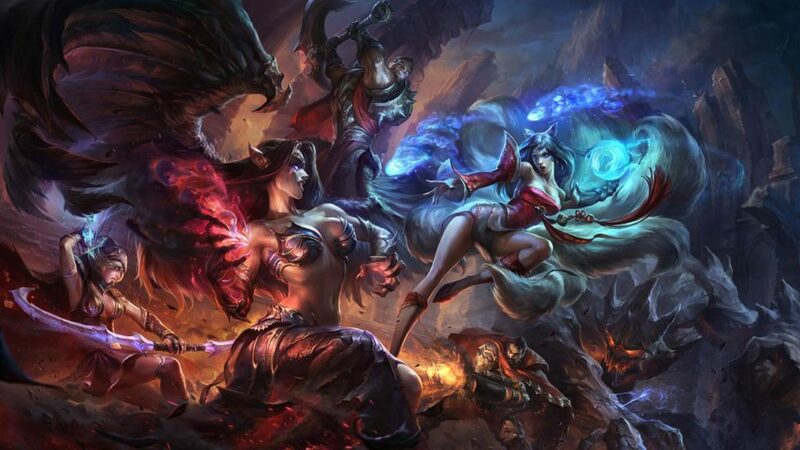 But by keeping things fresh, constantly updating champions, and giving players a new experience season after season, Riot has managed to evolve its player base as older games have fallen by the wayside. The MOBA genre was started by Dota, but in a lot of ways, League is its present and future. If you want to be a part of that future, give this game a try.